1. Playtime Peach Dribble Bib from Milk & Masuki. 2. Periwinkle Bib from Daisy and Moose. 3. 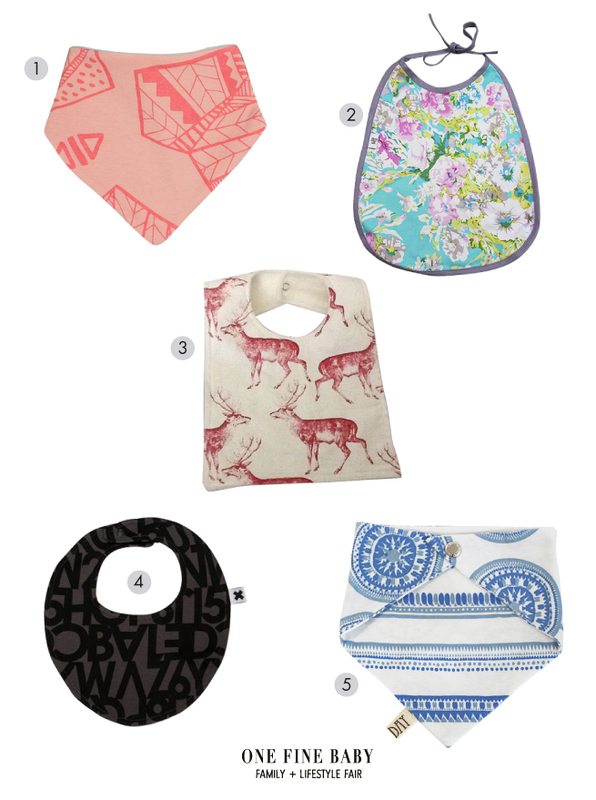 Deer Bib from Milton’s Bibs & Bobs. 4. Alphabet Bib from Hux Baby. 5. Maroc Circle Blue Reversible Cravat Bib from Sunday The Label.